The Hattori follows many of the more minimal offerings we have seen so far in replacing a lacing system with velcro straps, and though it’s hard to tell, the upper looks very minimal. One puzzling thing regarding this shoe, if I’m interpreting the image correctly, is that the lateral midsole on the forefoot seems to lack any form of rubber protection (the midsole construction in the forefoot appears very similar to the popular Kinvara). For a zero drop shoe, it would seem that this would be essential since midfoot/forefoot striking is going to be encouraged. It will be interesting to see what the midsole composition is and how this might play out in terms of durability in this shoe. Exciting times ahead for minimalist runners! Update 4/25/2011: Just put up a post with my preliminary review of the Saucony Hattori. Anything about the arch support? Or hopefully the lack thereof? I had been training in Grid A3s but just did my first run today in my new Kinvaras. The padding on the Kinvaras is nice but the heel is more than I’d like as a forefoot striker. If the Hattori has the comfort of the Kinvaras but without the weight and the heel, I can’t wait to give them a try! XLNT name ! Must have a “Kill Bill” fan working for Saucony.! Any idea on availability if this one? 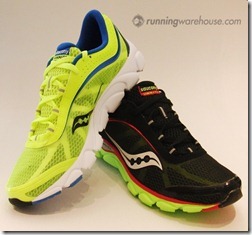 It looks like a great shoe to transition to after getting used to minimal drop shoes (like the Kinvara). It looks like Saucony wants to be a player in the minimalist shoe world! It looks remarkably similar to the aqua socks that I used to wear before I bought my KSOs. They were very minimal but were guaranteed to give you blisters being that proper fit was never their goal. If it wasn’t for that I would have stuck with the inexpensive aqua socks. 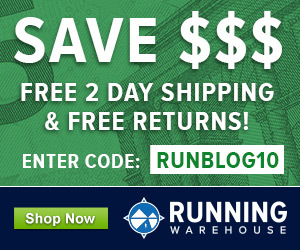 These look to be great for longer runs as compared to Vibrams. Looks like a velcro Evo. Fantastic! Looks really sweet! Hope you get your hands on a pair soon. Glad to see so many shoe manufacturers putting out more minimalist options. Very interesting shoe. Saucony was my favorite brand before I switched to running in fivefingers and Inov8. Hope this one will arrive in europe aswell and hopefully before the racing-season starts next year. Yes, these can replace my aqua socks, thank you Saucony! It seems to be a great minimalist option. Looking forward for it! Hmm a velcro closure? Seems like a regular minimal lacing system like employed by the Nike Free (or any number of ultralight racing flats and spikes) would be lighter and more secure. So many shoes. So little money. Thank God for birthdays and Christmas! These look amazing. 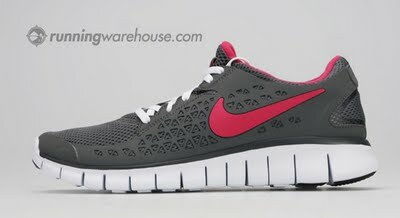 I’ve been wishing someone made a shoe like the Nike Free 3.0 but with zero drop. Hopefully the foam will be half as durable as what’s on the Frees. response pretty quickly. I’m not sure though, just guessing. 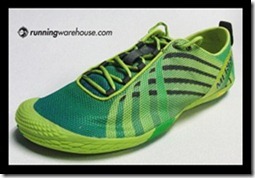 FYI there is a recent entry about the Hattoris on the Running Warehouse blog, along with new pictures. Apparently the shoes will be available over there May 1, 2011. They also write that “The midsole is made up of compression molded EVA that features XT-900 outsole compounds in key wear areas”. Very interesting! BTW congratulations for your blog. I’ve been an avid reader for a while. I don’t know if you know anyone at Saucony because the Hattori has a major flaw: the high-wear rubber is at the heel, medial/inside of the forefoot, and big toe. 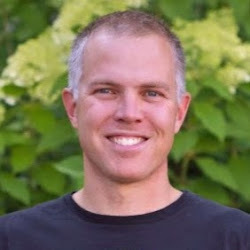 As you probably already know – and I have found from logging 50 miles per week in Vibrams – these are the areas on the sole of the shoe that wear the LEAST. When you forefoot strike in a truly minimal shoe, the wear pattern is the exact opposite of what Saucony anticipates. Obviously, this was designed without real-world knowledge of minimal running. If you can, please notify Saucony. Doh! Somnio Nada might be the closest. So i went forefoot/midfoot striking in my nike free runs and i got a pain in my knee,isnt the total opposite suppose to happen? and i feel like my forefoot is getting too much pressure.Ideas? too much. Also, you need to be very gradual, let yourself adapt slowly. Oh and have you seen these! continue to run 7-8 miles per day in them, you will likely wind up hurt. you have time to make a slow, gradual transition. Another runn and still feeling it man,sooo is 2 miles slow enough,this time my right knee was in pain sometimes while running and the right forefoot feels too used,why not my left? that you consult a physical therapist. Looks like the high wear areas are designed for heel strikers (heel and big toe). Does this seem accurate? If so, any idea why? In general doesn’t seem like Saucony has midfoot striking in mind during design (e.g. this promo for the kinvaras: link to youtube.com…. Is it a fluke that they are making such great shoes for midfoot strikers? Sorry, by high-wear area I was thinking about the wear guards, what looks like rubber over what looks like the EVA sole. PS, the Kinvara video explicitly mentions heel striking, that’s what I was thinking about there. the heel good, so retaining some protection in back makes sense. good points, definitely insightful. thanks. lateral side as well, but wear on the inner side can also occur on pushoff. in the areas they put it?